It's with great pleasure that the cricket committee of TSJCC proudly announce their new acquisition - Hornby. 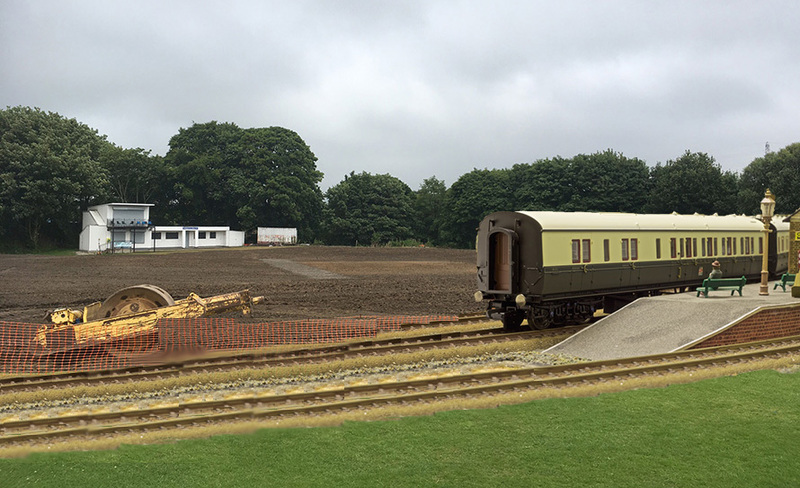 The double gauge railways have been carrying passengers across imaginary British landscapes for over a century and found a perfect new home in the mudbath of Crompton Meadows. A new station, tentatively named "Terminal Meadows", has been completed and will officially be opened next weekend by local MP James Frith, who is happy to attend the opening of an envelope if it gets him some media attention. The station is set to cater for a huge influx of new spectators at the Meadows, all of whom will be paying top dollar to watch Totty's exciting new brand of cricket, all paid for at top dollar. Ian Hayes, Totty's director of cricket, commented "This is an exciting time at TSJ. We're investing heavily in new facilities and a railway station seemed like the perfect fit. We can ship people straight in from Brandlesholme Road at a record rate". Local train company representative Warren Hornby was unavailable for comment.